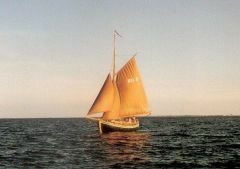 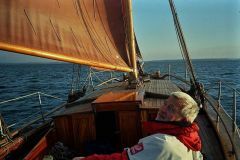 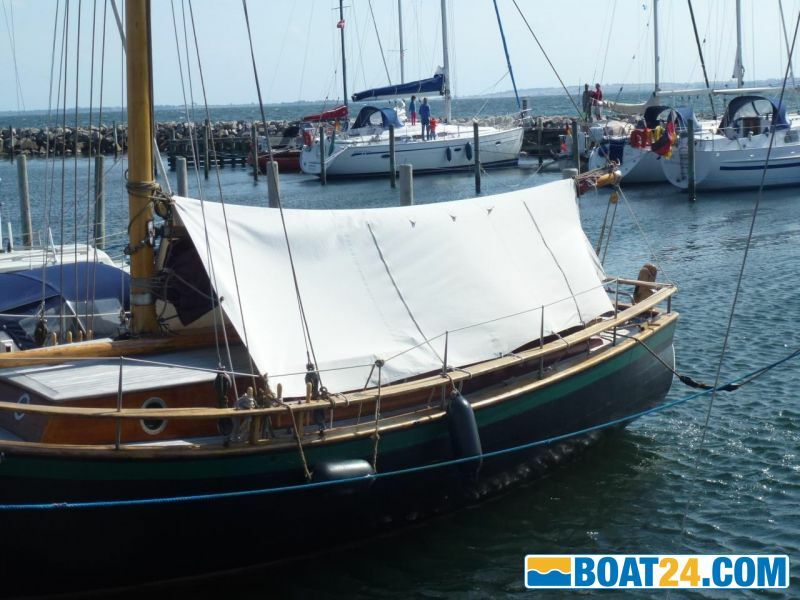 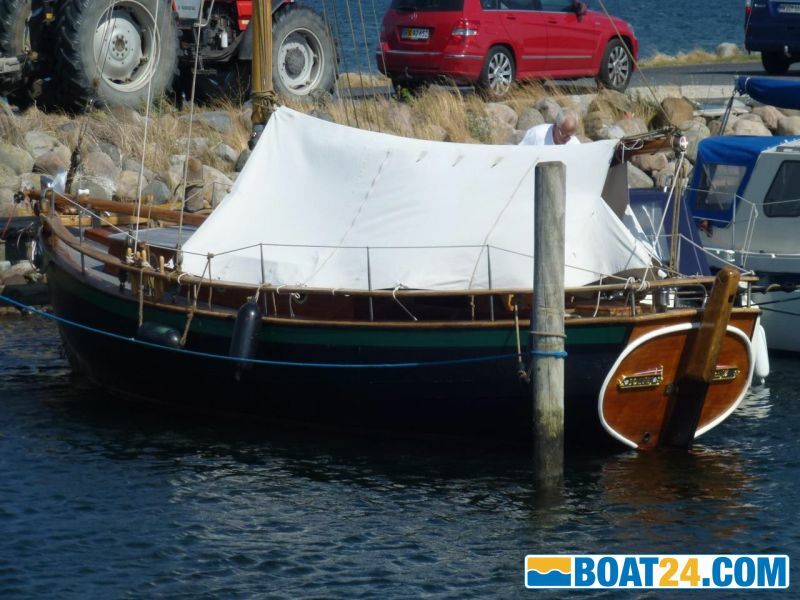 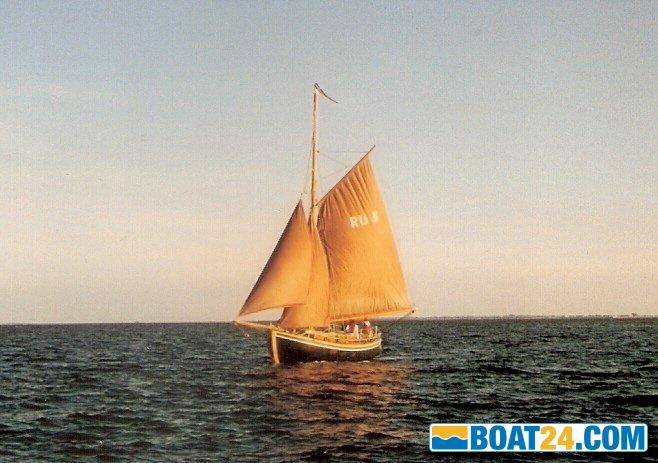 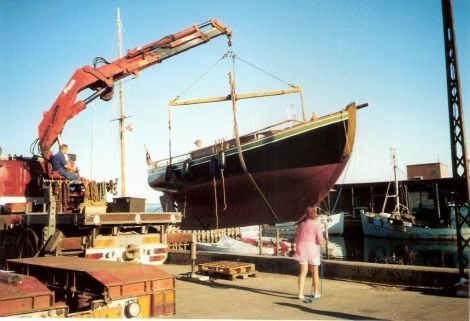 The galleon-rigged yacht "Solvej" was built in 1976 in a shipyard in Dyreborg near Faaborg in Denmark and is extremely seaworthy. 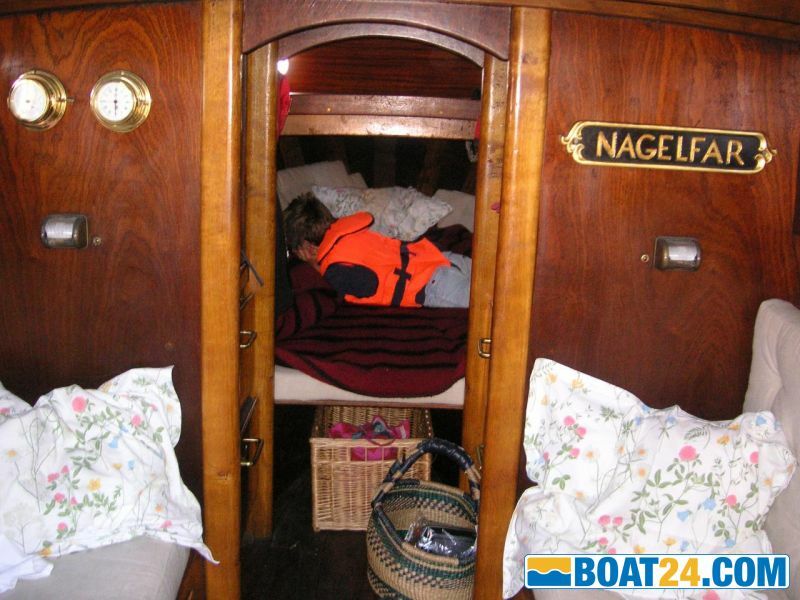 It is langkielig, kravelgebaut and has a nice heart-shaped mirror. 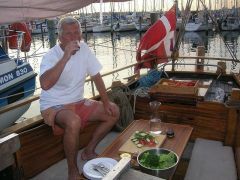 Materials: larch wood (5/4 inches) on oak frames, mahogany and teak furnishings. Length 9 m eksklusiv Jib boom (3 m), width 3.10 m and draft 1.5 m. Weight 5.8 tons. 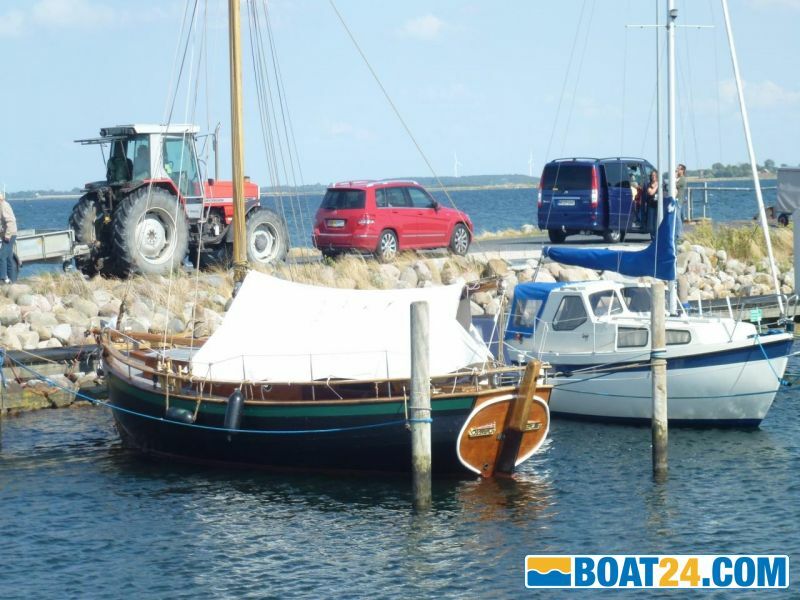 Very reliable freshwater cooled Sabb diesel engine 8 hp, 40 l diesel tank. 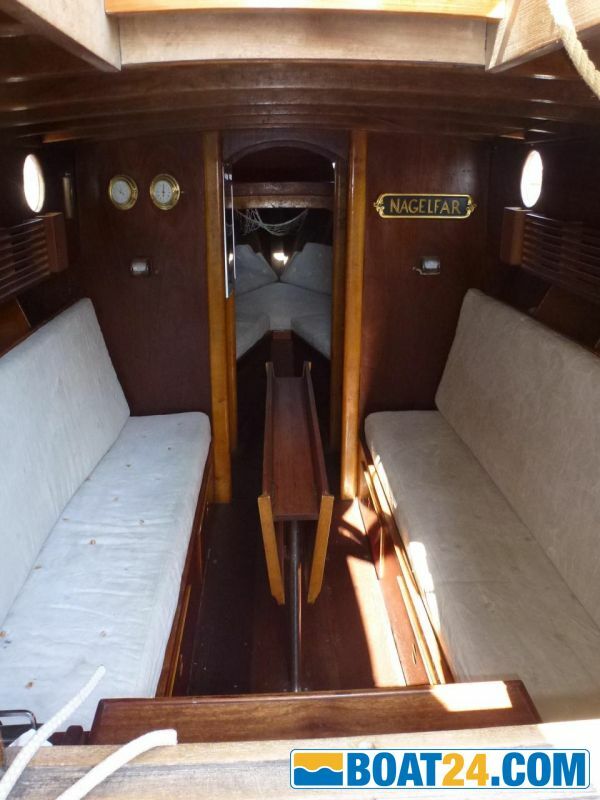 Spacious cockpit and large aft cabin. 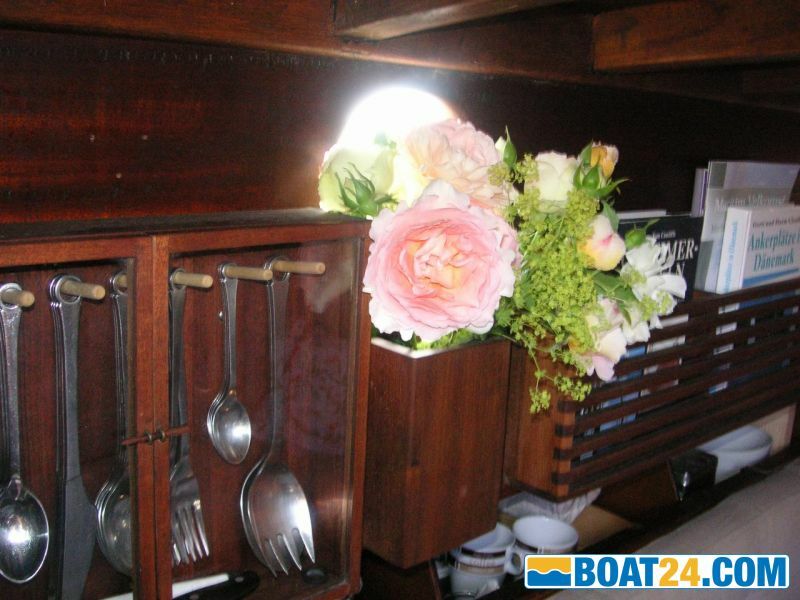 Below deck 4-5 bunks, Pantry with 2-flames gas, fridge with freezer compartment and extra battery (72 hours battery reserve), charger for start battery and refrigerator battery, folding table that fits into the cockpit, open shelves, 4 large drawers for laundry, Ship's bell and foghorn, barometer and clock, electric lighting, 20 l fresh water tank with pipe and faucet. 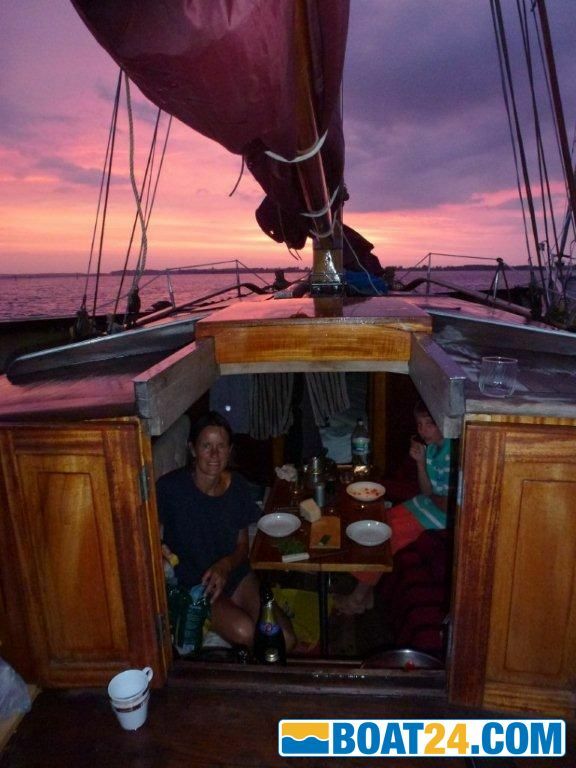 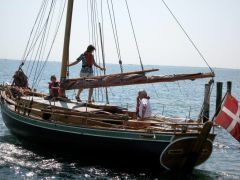 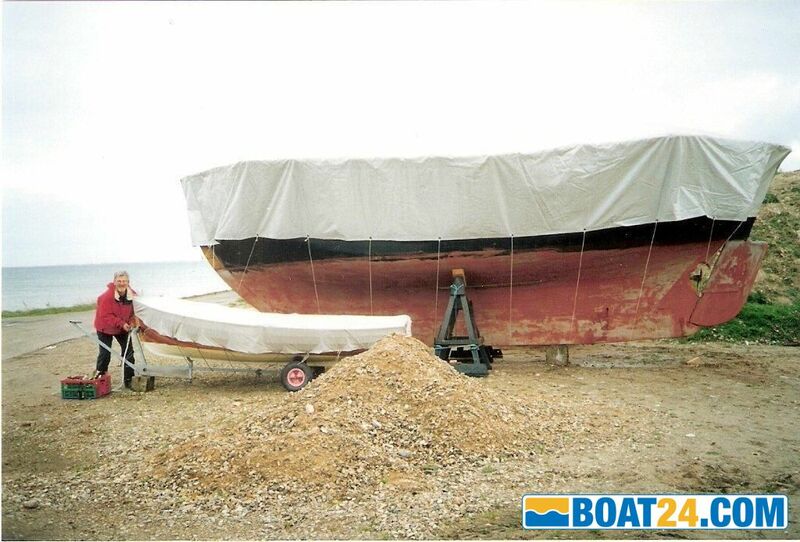 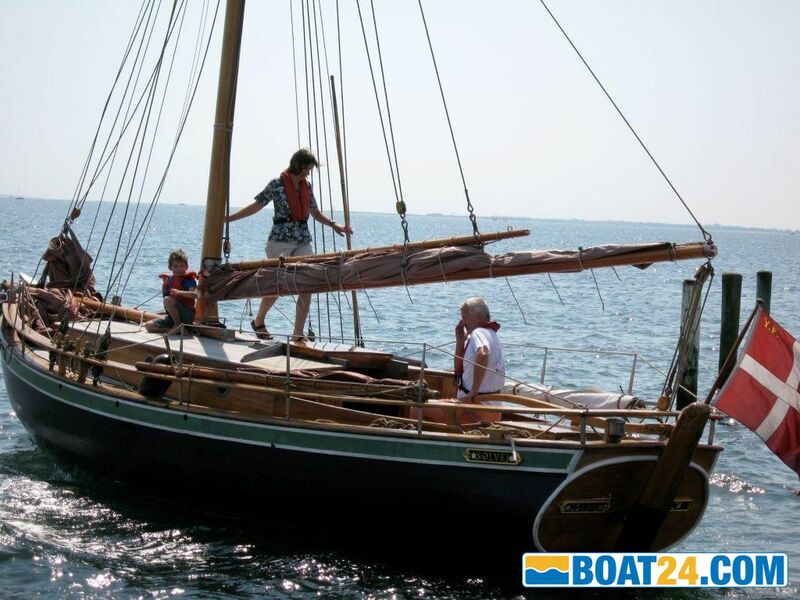 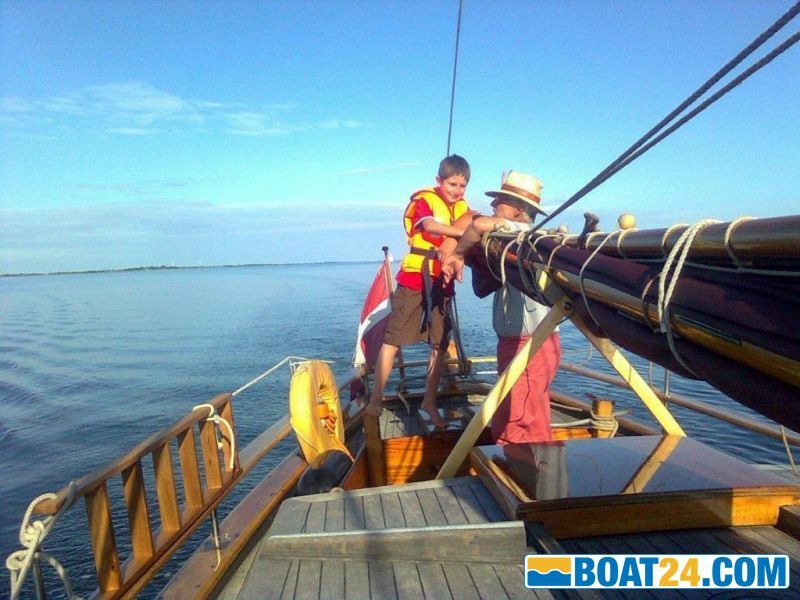 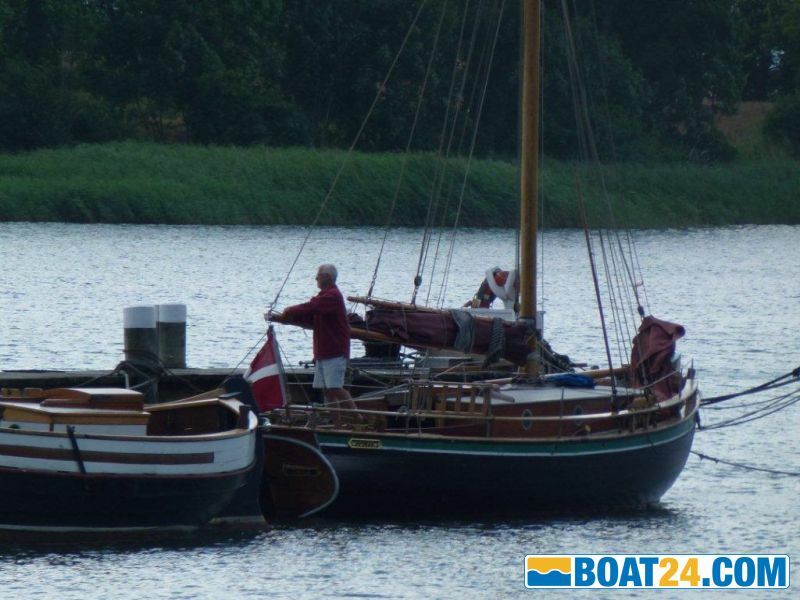 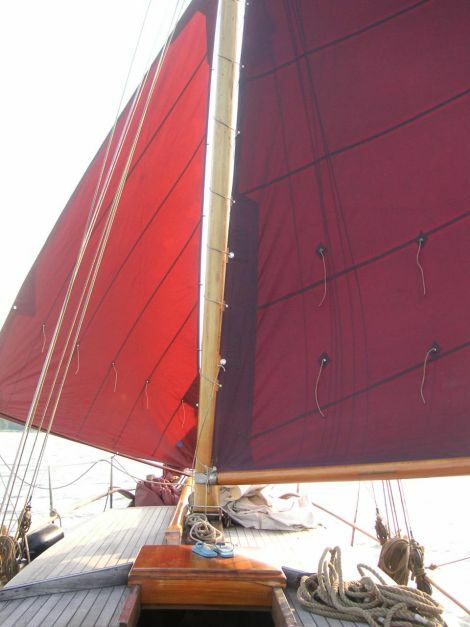 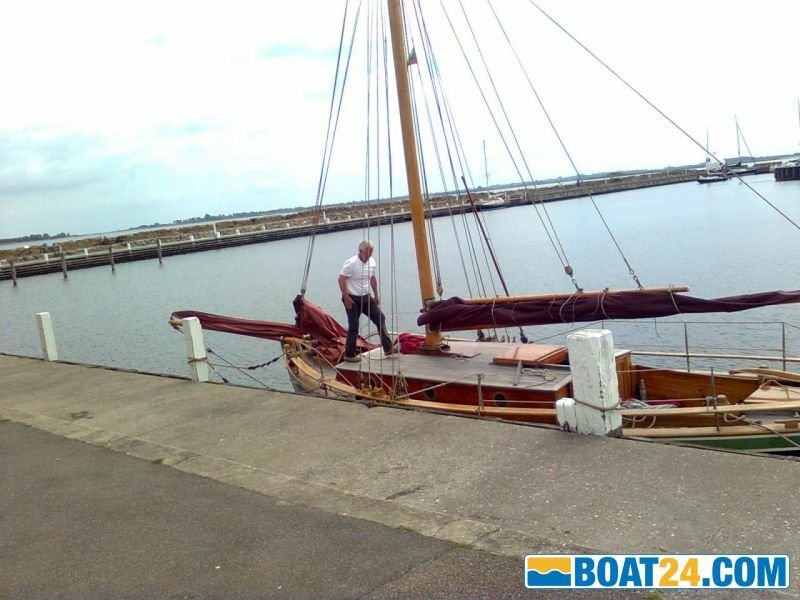 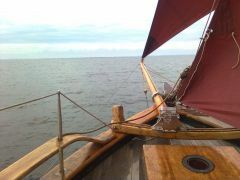 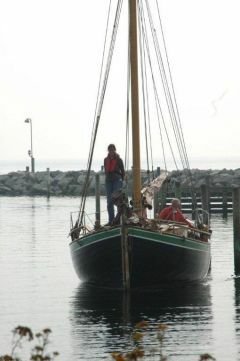 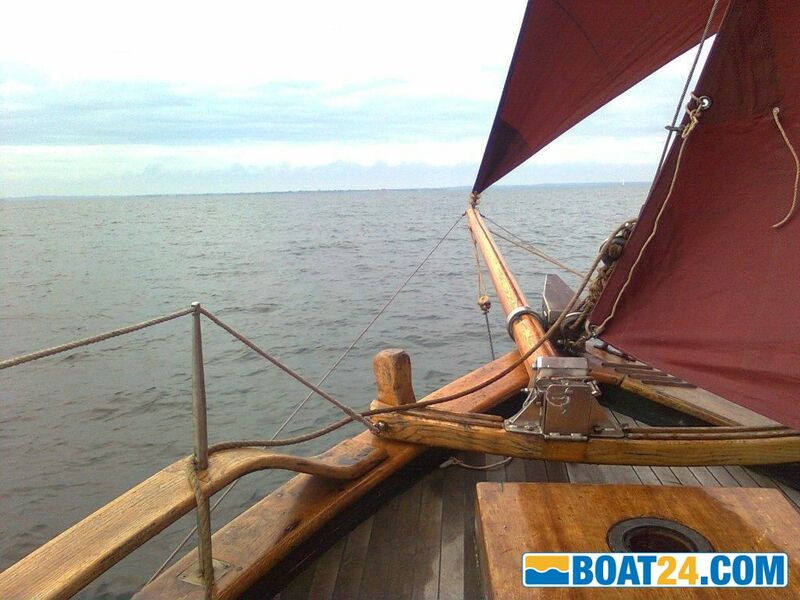 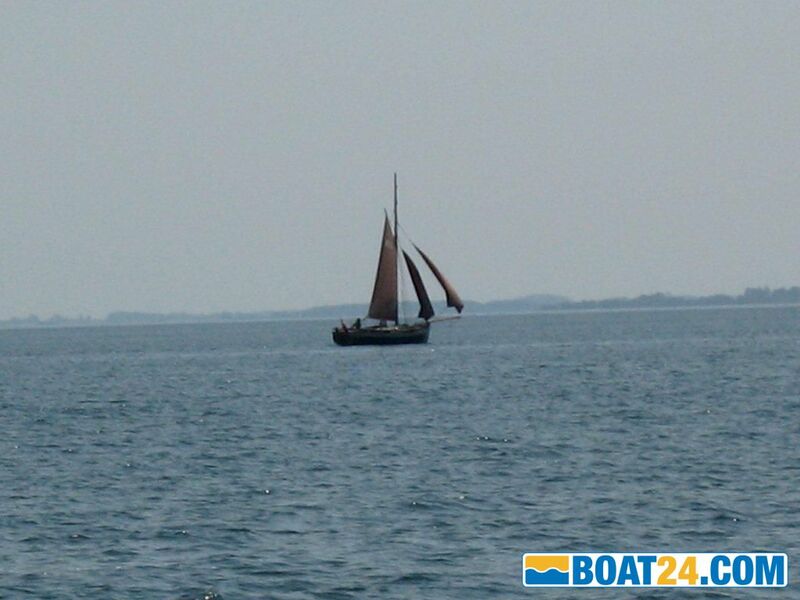 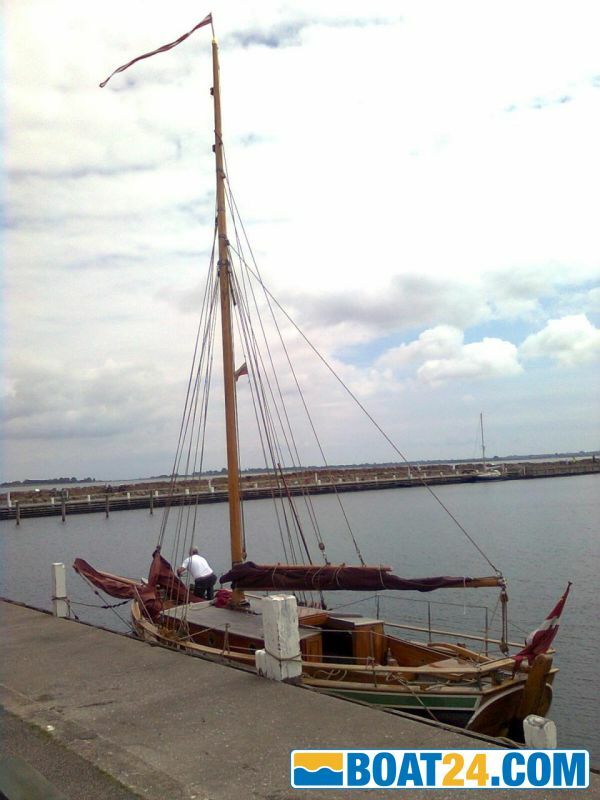 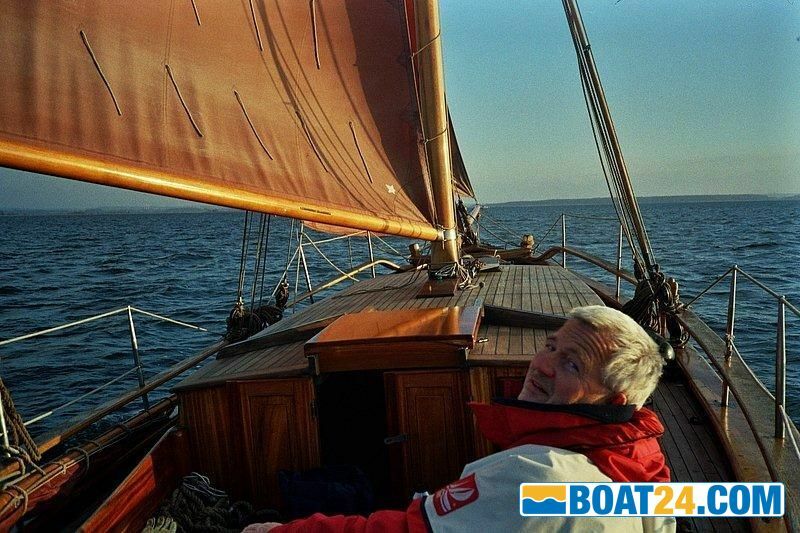 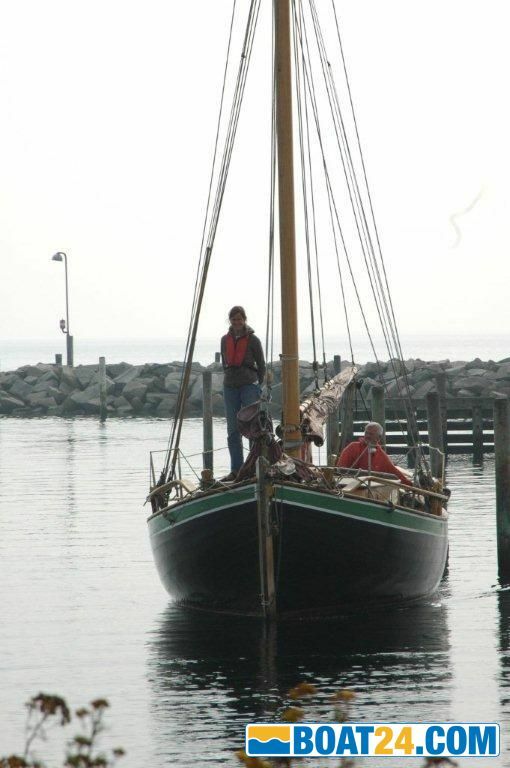 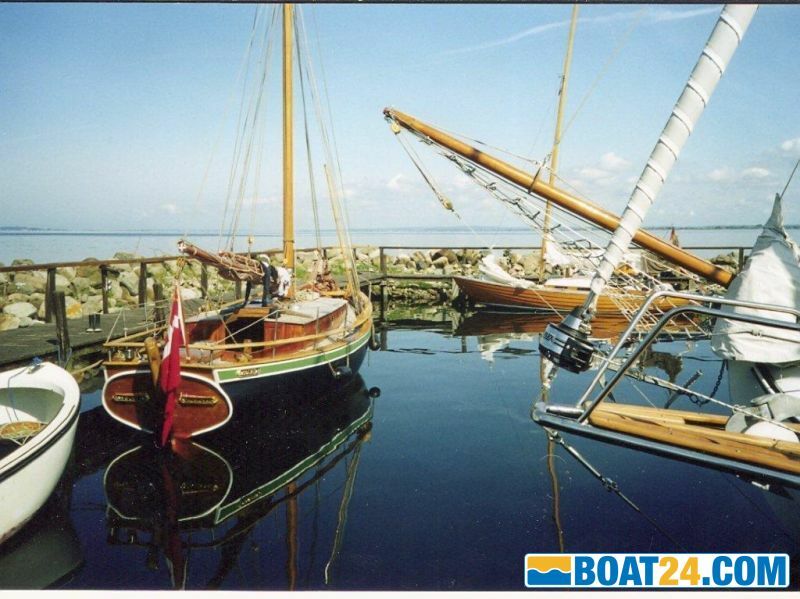 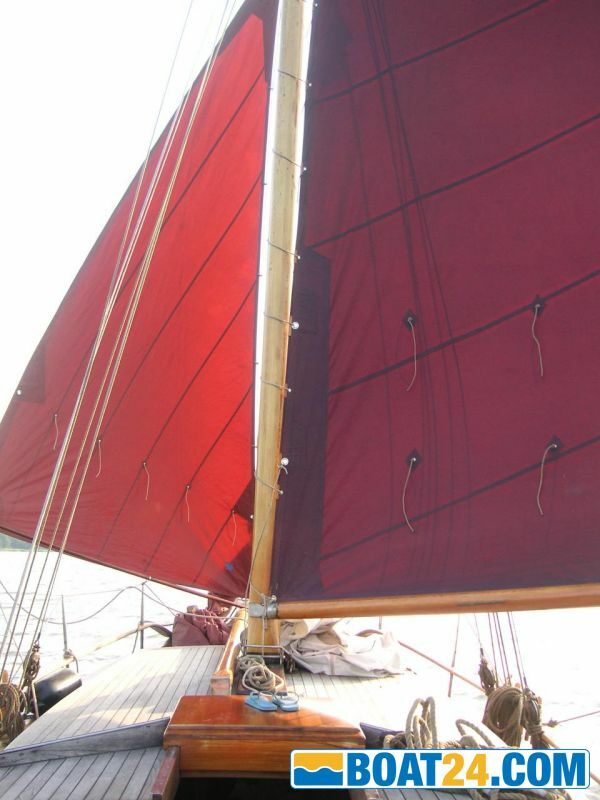 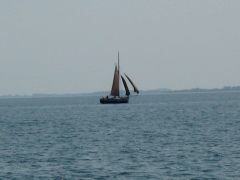 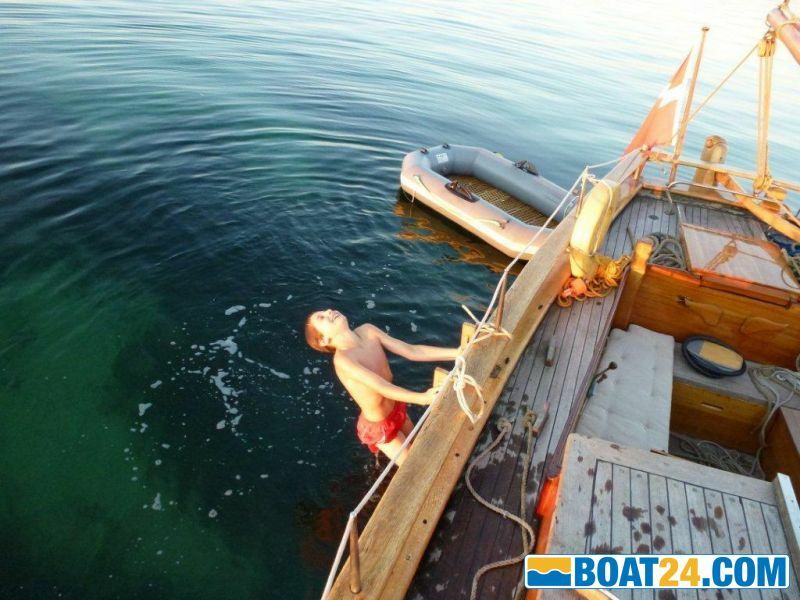 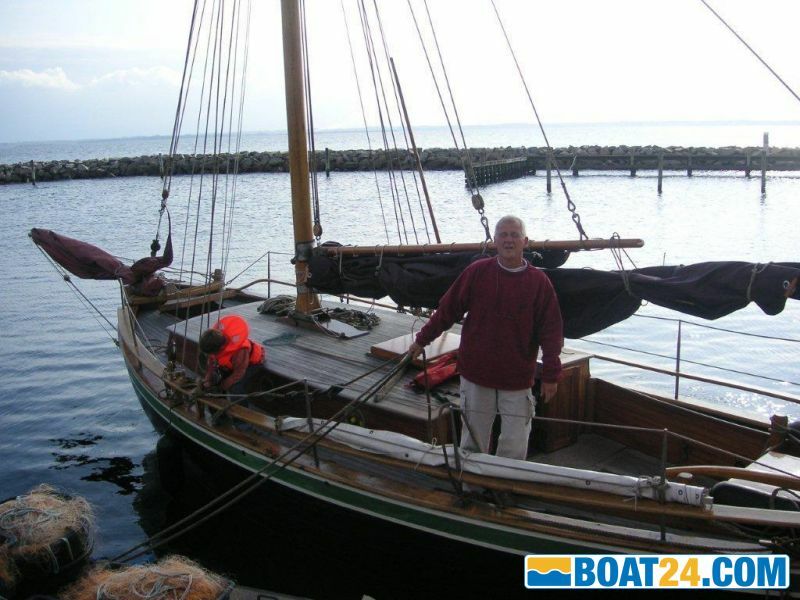 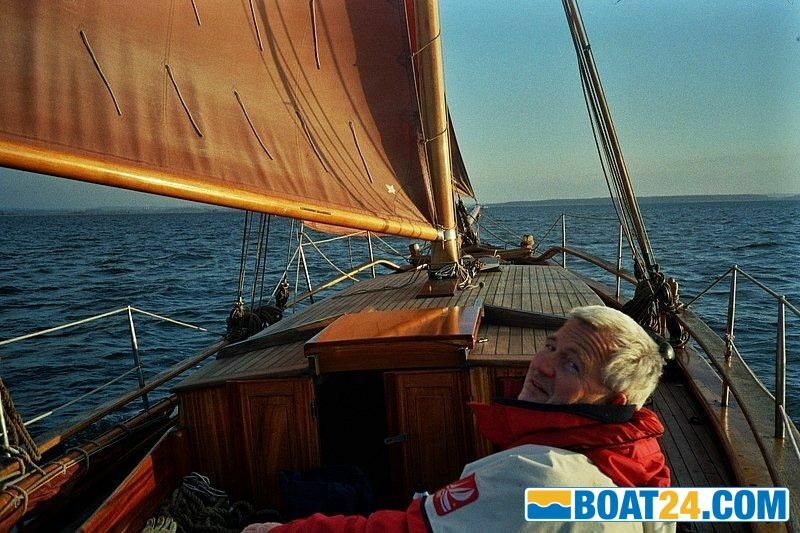 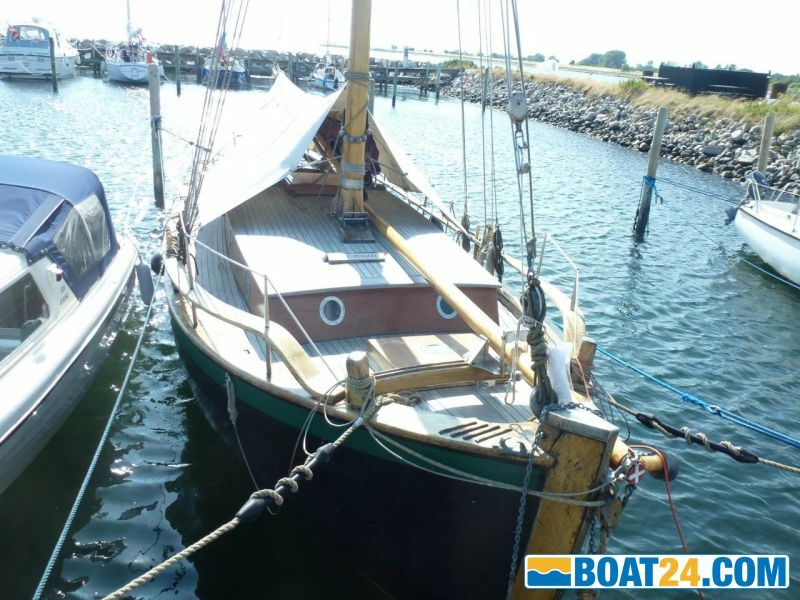 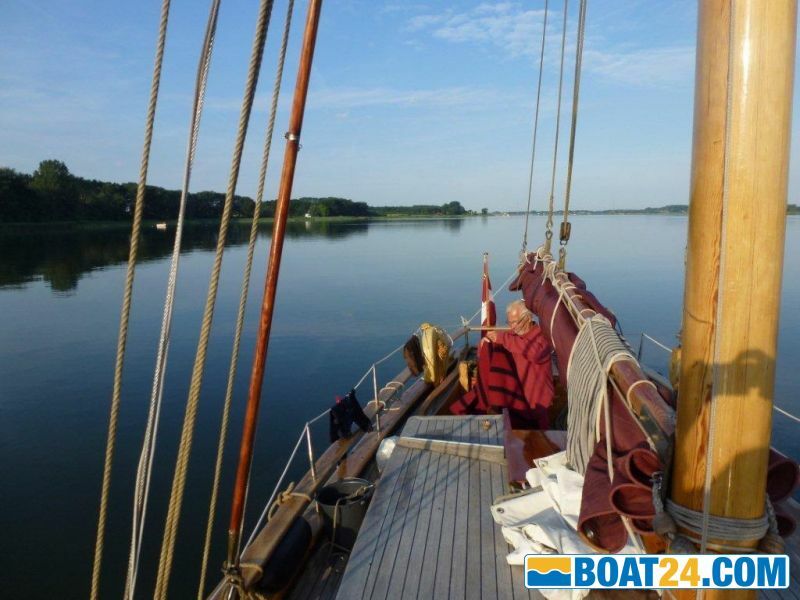 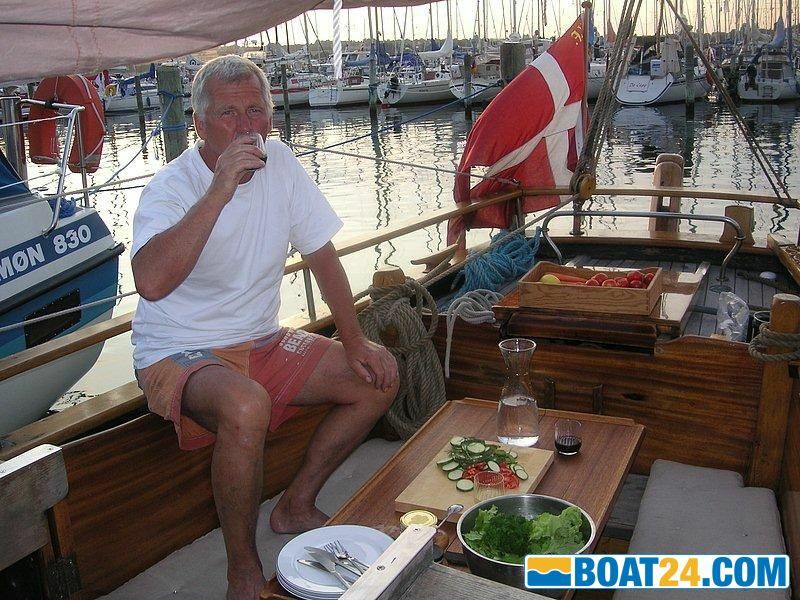 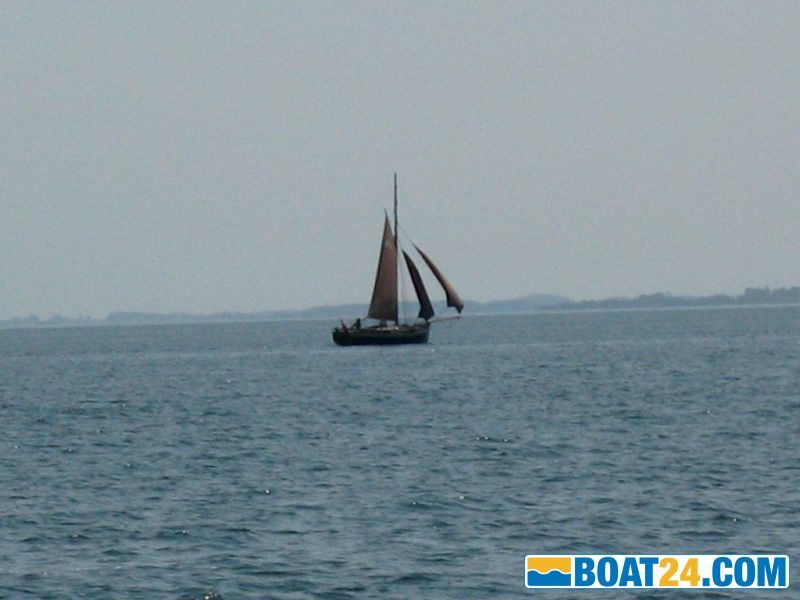 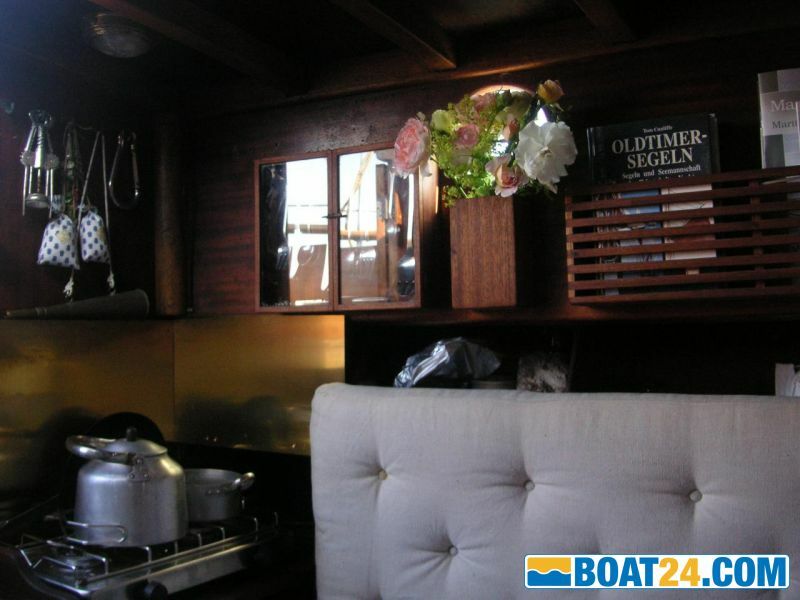 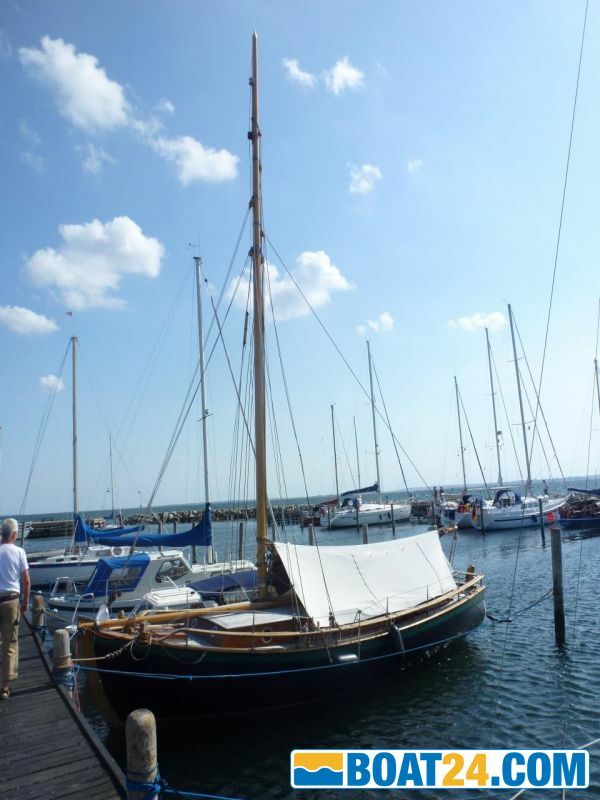 The boat has a traditional sailing boat with 1.45 m internal height and has no sanitary facilities. 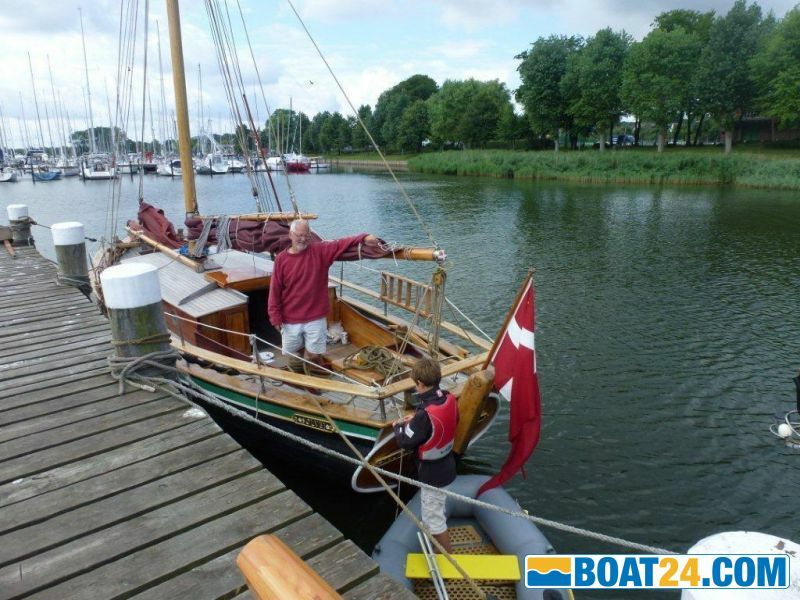 Contact: Ursula and Hanns, Bækskildegaard Drejø DK, www.baekskildegaard.dk, phone 0045-63210621, mobile phone 0045-28934384, baekskilde@mail.dk. 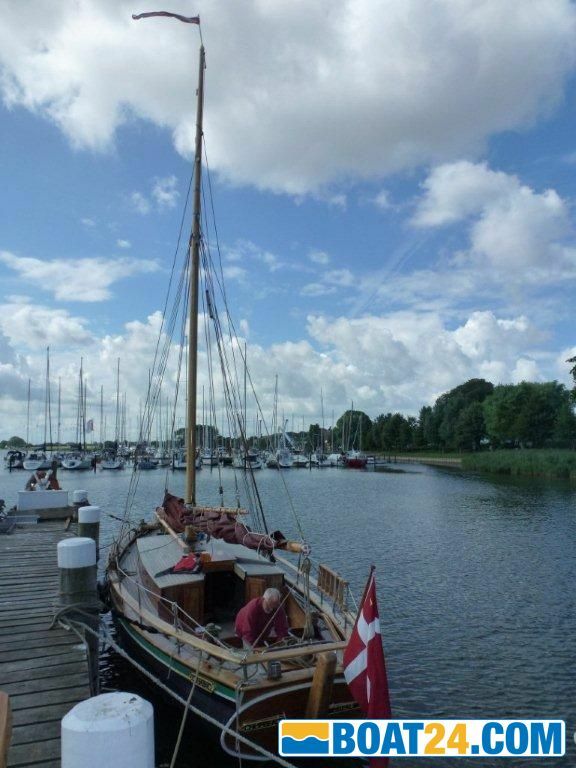 We speak German and Danish. 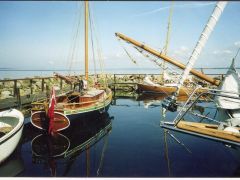 Sale for health reasons.